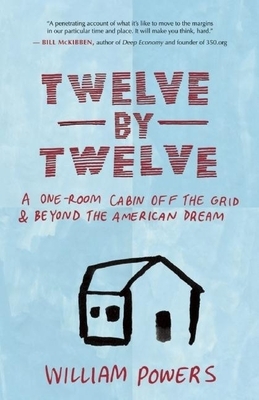 Why would a successful American physician choose to live in a twelve-foot-by-twelve-foot cabin without running water or electricity? To find out, writer and activist William Powers visited Dr. Jackie Benton in rural North Carolina. No Name Creek gurgled through Benton's permaculture farm, and she stroked honeybees' wings as she shared her wildcrafter philosophy of living on a planet in crisis. Powers, just back from a decade of international aid work, then accepted Benton's offer to stay at the cabin for a season while she traveled. There, he befriended her eclectic neighbors -- organic farmers, biofuel brewers, eco-developers -- and discovered a sustainable but imperiled way of life. In these pages, Powers not only explores this small patch of community but draws on his international experiences with other pockets of resistance. This engrossing tale of Powers's struggle for a meaningful life with a smaller footprint proposes a paradigm shift to an elusive "Soft World" with clues to personal happiness and global healing. For over a decade William Powers has led development aid and conservation initiatives in Latin America, Africa, and Washington, DC. He is the author of two critically acclaimed memoirs about his time in Africa and South America, Blue Clay People and Whispering in the Giant's Ear. His writings on global issues have appeared in the New York Times, the Washington Post, the Atlantic, Slate, and the Sun. A popular speaker and senior fellow at the World Policy Institute, he lives part-time in New York City.